The Mathews Volunteer Fire Department will host it’s annual barbecue supper March 18, 2017 form 5 PM to 7 PM, at the courthouse fire station 117 Brickbat Road Mathews, Va. 23109. 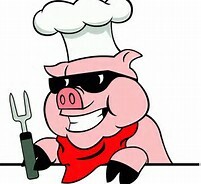 The meal will feature pork barbecue, baked beans, coleslaw, rolls, and homemade desserts. Take outs are available. Tickets are $15 and can be purchased at Mathews Lawn & Garden, 9306 Buckley Hall Road Mathews, Va. 23109.